Designed by Fenabel, Portugal. 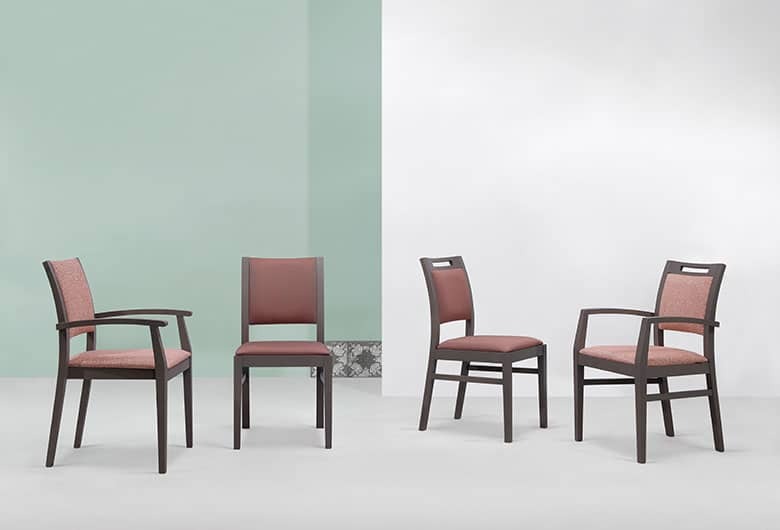 The Katia collection is made of side and arm chairs offering different healthcare possibilities. The arms feature a contoured handgrip to assist in exiting the chair. The stackable version has support rails for increased strength.